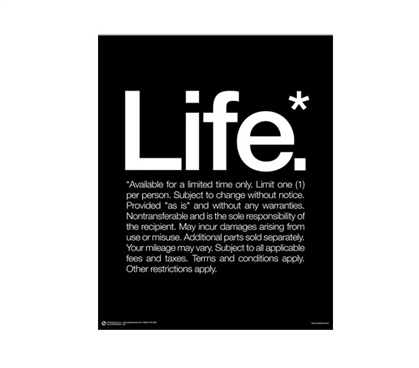 When you need some inspiration to get you through life, you'll need this Life Poster. Posters for college are great dorm decorations, yet you also shouldn't overlook their ability to be inspirational dorm supplies, too. Cool posters for college are dorm essentials, as living with bare walls is bland and won't make your room a very inviting place. So decorate your dorm with cheap college posters. And if you choose some that can add some character to your college decor, they're all the better. Cool dorm stuff is needed for college, so have some fun with your college decorating and make it all the better if it's uplifting!